Since 2016, our family farm has been raising heritage chickens, Barred Rocks, and heritage rabbits, Silver Foxes. Our pasture raised chickens are fed non-GMO fermented grains. 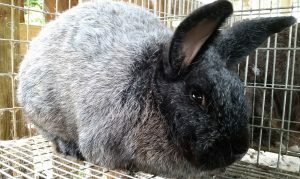 We use non-GMO pellets, fodder and garden-fresh greens for our rabbits. This year we are making the switch to organic feed. 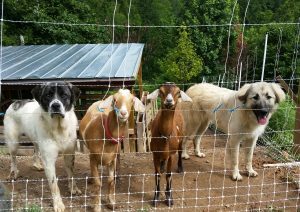 Along with our chickens and rabbits, we have two goats and Livestock Guardian Dogs. After getting the pastures fenced this year, we will be adding Spanish Goats, a heritage meat breed, to our farm. Previous Previous post: Musicians! This Is Your Big Break! Musicians! This Is Your Big Break! 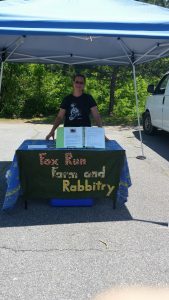 The Mars Hill Farmers and Artisans Market is operated by and for its members, who are original producers of items being sold. It is designed to support local, small-scale farmers and artisans (food and crafts) by providing an additional marketing opportunity for their produce and products. In addition, the mission of the market is to provide the community a source of fresh, high-quality products, and be a part of the community it serves.